When you have the Scenic Cruizer for the day, you can be and do almost anything you want. It is the car that can help you live out your dreams! Most people would jump at the opportunity to live like their favourite celebrity for one day. If you can dress up and score yourself a sweet ride to add that something extra to the fantasy, then it's even better! Bernadette sent a message to the Scenic Drive asking if she could have the We Buy Cars Scenic Cruizer for one day, just to see what it must have been like to be Jackie Kennedy. 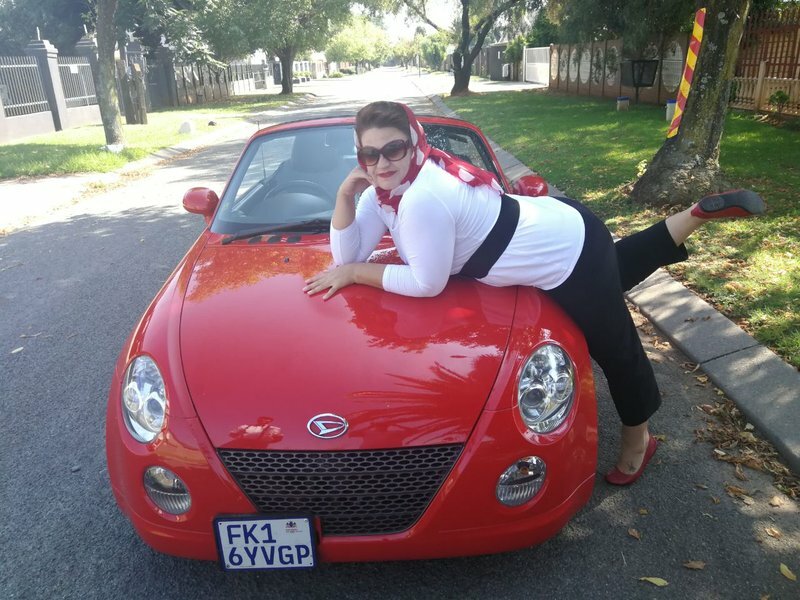 Bernadette has always wanted to put on some great red lipstick and a beautiful scarf, just like the former First Lady did, and drive down the road with the wind blowing on her face. 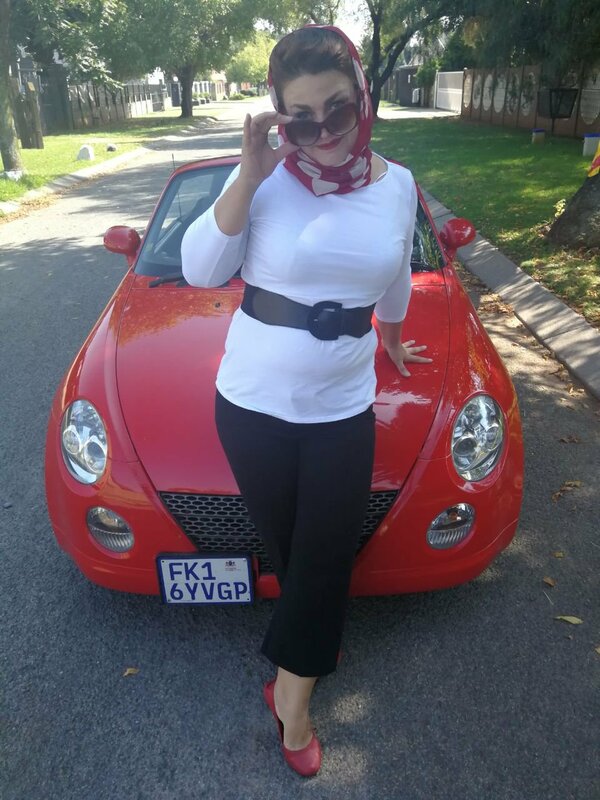 When Bernadette got the news that she would be taking the Scenic Cruizer for a spin, she put together an outfit that would have made Jackie O very proud. If you get the chance to live out your dreams, you had better commit all the way! Bernadette thoroughly enjoyed her turn in the driver's seat of the Scenic Cruizer. See for yourself! If this looks like the kind of fun you would like to have, send your request to 37942. Tell us what you would do if you had the Scenic Cruizer for a day, and you could have your turn next! 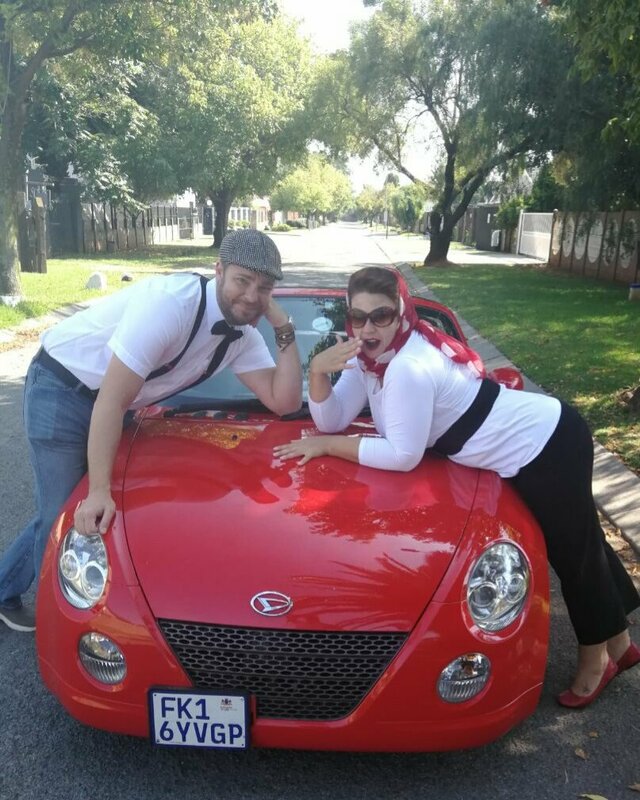 ALSO READ: The first #Straatbraai is happening in Boksburg on 23 February!